Our Nikonians Academy instructors are presenting a wide range of workshops and photo adventures in June. 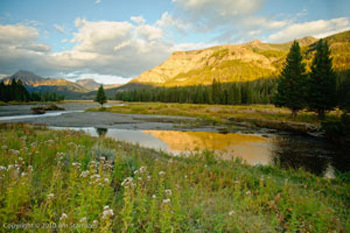 Jim Stamates leads off with his four day Yellowstone Wildlife and Landscapes - Spring 2014 photo adventure June 2-5. Springtime in Yellowstone NP is an exciting time. Bison, Moose and Elk have dropped their young. Bears are on the prowl looking for opportunities to fatten up after a long hibernation. You will arrive by dawn at Mammoth Hot Springs looking for newly born elk calves. The travertine formations present you with unending abstract compositions as the hot water bubbles out of the ground. 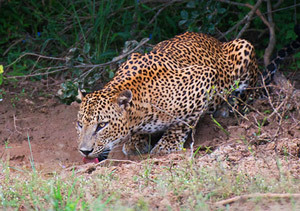 After a great morning shoot you are off to find more wildlife babies and incredible landscapes. Your are invited to join Jim and Kathy Stamates to learn, experience , and capture the essence of Yellowstone National Park in the Spring. Steve Simon will be in Calgary, Alberta, Canada hosting his Masters Series, featuring Master the Nikon D800, Df and D4 - In Depth 1 on June 12, Master the Nikon D800, Df and D4 - In Depth 2 on June 13 and The Passionate Nikon Photographer Two-Day Mastery Workshop with Steve Simon starting June 14. He will continue his Canadian tour in Edmonton presenting the same workshops June 19-22. 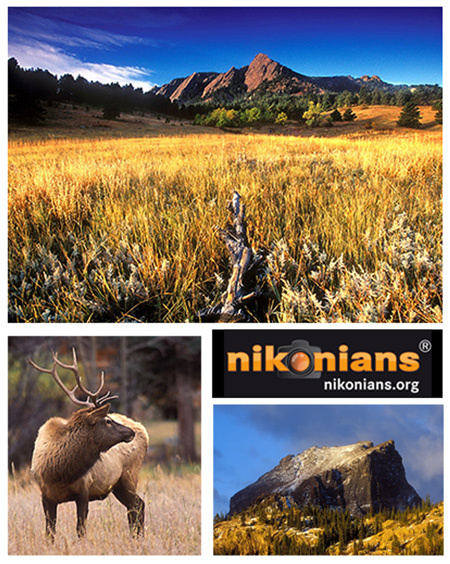 Meanwhile, Nikonians Academy Director Mike Hagen takes the Master Series to Seattle, Washington, presenting Master the Nikon D800, Df and D4 - In Depth 1 and Master the Nikon D800, Df and D4 - In Depth 2 June 13-14. Richard Hulbert will also be in Seattle, with his four day Urban and Street Photography Workshop starting June 19. While the illustrated lectures will give you the fundamental information you need, you will spend a significant portion of the workshop in the field, with hands on photography. Your professional instructor, Rick Hulbert, will also give daily constructive critiques of your own selected images which is a key part of the learning experience. 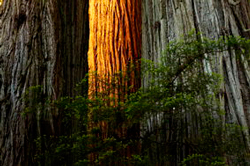 The month will conclude with Michael A. Mariant's Giant Redwoods of Northern California photo adventure (June 26-29). 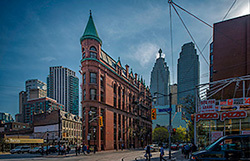 This four day workshop focuses not only on the "where" to take the pictures, but also on the "how" to take pictures, incorporating photographic education throughout the workshop at each location. 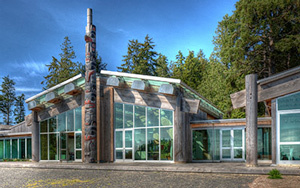 By building on the previous location's techniques and lessons, this allows for culmination in a comprehensive lesson in pre-visualization, composition, modified exposure and light controls. This truly is a collaboration of extensive, comprehensive landscape photography education coupled with a dynamic location. The number of available seats in the edition of the Annual Nikonians Photo Adventure Trip (ANPAT-14) has shrunk to single digits. Only nine reservations are left to be made. I f you want to enjoy a photo adventure with our Nikonians Academy instructors even earlier, you still have time to register with Jim Stamate's trip to Grand Teton later this month and to Yellowstone the first week of June for a wildlife photography workshop. 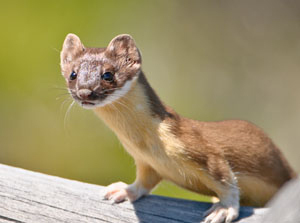 Jim's field workshops are known worldwide for their excellent ability to produce stunning wildlife images in great light. For those on the West Coast, check out Michael Mariant's amazing trip to the Giant Redwoods of Northern California this June. This workshop focuses not only on the 'where' to take the pictures, but also on the 'how' to take pictures, incorporating photographic education throughout the workshop at each location. Our Masters Series workshops and Passionate Photographer workshops are scheduled around the USA and Canada for the next two months. Join us in Seattle, Calgary and Edmonton this May and June. Rick Hulbert has added an entire new schedule of Urban and Street Photography workshops around the USA for 2014. Next up is Seattle in June, then Vancouver, Houston, San Antonio and Los Angeles. The reviews from Rick's workshops are excellent and people fly in from destinations far and wide to attend. Interested in an international photo adventure? Join us for an incredible trip to Sri Lanka, Tanzania, or Cuba this year. 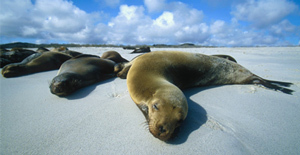 Each trip has its own unique mix of exciting wildlife or cultural photography or both. Nikon has announced new additions to both the Nikon 1 System of interchangeable lens cameras and new professional NIKKOR optics. 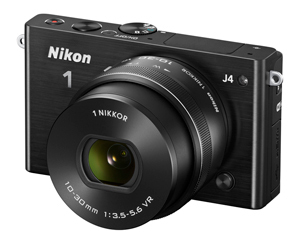 First, Nikon has introduced the compact, versatile and blazing fast Nikon 1 J4 for the USA market and the Nikon 1 S2, the next evolution in the Nikon 1 line for those ready to step their photography up to the next level. 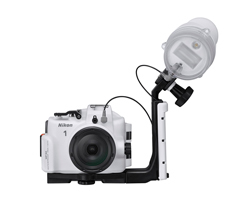 For users ready to take Nikon 1 underwater, also announced were the new WP-N3 Waterproof Case and SB-N10 Waterproof Speedlight. Nikon also introduced the new professional-grade AF-S NIKKOR 400mm f/2.8E FL ED VR telephoto lens and AF-S Teleconverter TC-14E III, providing a lightweight yet optically excellent option for sports, action and wildlife shooters. Here are the highlights (courtesy of Geoffrey Coalter from the Nikon USA Press Room). 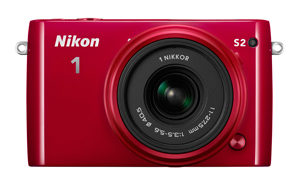 • Capable of recording slow motion movies in 1280 x 720 resolution at up to 120 fps. 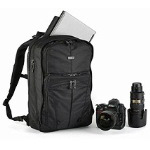 • Improved AF, exposure accuracy and speed. • Features fluorine coating for enhanced resistance to dirt and water. 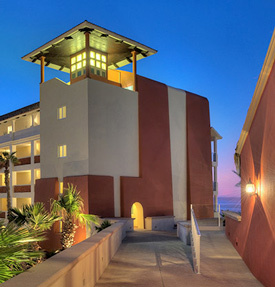 • Available in August 2014 for $499.95 SRP. Spring is a great time to experience the USA's National Parks with your camera. Join us on a trip to Grand Teton later this month and to Yellowstone the first week of June for a wildlife photography workshop with Jim Stamates. Jim's field workshops are known world-wide for their excellent ability to produce stunning wildlife images in great light. Jim has been highly commended by the Natural History Museum, London, England through the prestigious Wildlife Photographer of the Year Competition. His award winning images have been published in over 30 countries. His fine art prints are sought after worldwide and are hanging in homes, offices, and galleries throughout the U.S, Japan, Australia, and Europe. Nikonians Academy instructor Rick Hulbert just added four new cities to his very popular series of workshops. He invites you to join him in Seattle this June for his best selling Urban and Street Photography Workshop. He is running his new signature series of workshops Mastering Composition in Photography and Mastering Architectural and Urban Photography in Atlanta, Vancouver BC, Houston, San Antonio, Washington DC and Los Angeles throughout the rest of this year. Those of you who are ANPAT veterans will know “Rick” as the guy dressed in black with more gear than should be possible to carry. 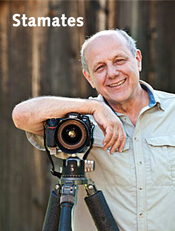 Steve Simon is running workshops this week in Houston. We keep adding more workshops to the schedule and will soon be in Boston, Calgary AB and Edmonton AB. The Calgary sessions run June 12-15 and the Edmonton workshops will be held June 19-22. Note: Depending on the city scheduled, the number and specific titles of Masters Series workshops may vary, so it helps to check your desired city and dates to make sure your preferred courses are available. 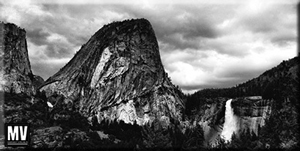 We still have space in our Exclusive Yosemite: Black & White Digital Zone workshop with Michael Mariant beginning on May 17. This rare, private-format, one-time-only workshop will be limited to only five Nikonians students. The new workshop is aimed towards photographers who want to follow in the footsteps of the famous landscape masters. Michael will be teaching black and white theory, manual exposure, composition, and post processing. Join Academy Director Mike Hagen on an international photo expedition to Cuba, Galapagos or Africa. We have already sold out our Summer Iceland trip, so don't wait to sign up for our other adventure locations. Mike is a veteran trip leader and works tirelessly to provide a shooting experience like none other. What were the most important or interesting topics of last month? April's list includes discussions, articles, workshop announcements and photos for your inspiration. 1. Poll: Are you a lens snob? 2. Which tripod legs - Gitzo or Manfrotto? 3. How does a blue sunset look like? 4. Should you consider sensor gel stick to clean your camera's sensor? 6. Are theft proof camera straps worth it? 9. Capture NX-D - Why? 10. 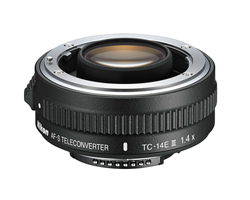 The teleconverter compatibility table: Which lens with what converter?